It will be a joyous day when a PatentlyO thread is no longer populated by the same three posters bickering at each other. I “get” that you don’t like the bickering, and I do wish that Malcolm would stop his propaganda campaign (or at least engage on a substantive and meaningful level), but what’s worse than bickering is if no one contests Malcolm’s drive-by’s because then the less informed take that drive-by as gospel. The propaganda “works” when no one cares to dispute it. I have noted that some blogs control the underlying blight through editorial controls. New posters may be given some leeway, but errant views are corrected and people informed – and then of posters wish to keep posting AND not become informed, posting is then limited. Those who purposefully misrepresent law or fact are given even shorter leash, and so one will not see blight such as Malcolm (entering his 15th year of propaganda and nonsense. Understand why you’d feel that way WhyBother, but I for one am thankful and appreciative that anon (and others) are willing to stand up for what is morally, legally, and factually correct in the IP world. All it takes for evil to prevail is for good men and women to stand by and do (or say) nothing. Were Malcolm / MM banned as he should be, not only would you see materially fewer corrective comments from anon (and others), but an untold number of other IP professionals and experts would join the conversation; folks we’d all benefit hearing from. I do not propose a ban per se or as such, but rather, would constrain the blight that has been Malcolm’s documented hallmark for the past complete 14 years. He is more than welcome to express a view — and defend that view — in a meaningful, cogent, and inte11ectually honest manner by acknowledging counter points that are made and integrating those points into the discussion. Sadly, he absolutely refuses to do so, and not only does he regurgitate his views in a drive-by monologue “Internet-style shout down,” he often has zero meaningful content and instead most always v0m1ts off-base, pointless, disconnected and meaningless ad hominem (not even bothering to use any sense of satire correctly**). **an exceedingly rare case of his use of satire WAS made recently. It will be a joyous day when I can post on patentlyo without having a rav ing ma dman responding to my posts with vu lgar accusations against me. If you don’t 100 percent agree with this, then you wrong and do not understand or respect science. New functions require new structure to perform those functions. Right. So recite the new, non-obvious structure, like a grown-up. Otherwise you’re claiming functionality, which is ineligible subject matter. Why do you insist on not recognizing/respecting what is and what is not merely an optional claim format? Your constant “grown-up” insult make YOU the only non-grown-up in the discussion. The structure is recited to one skilled in the art. I could take one of the claims that cause you to scream like pig and illustrate different forms of structure that would implement the functions. And there is also structure that is recited in the order. As for other art units that use terms sounding in function (phrased this way to distinguish from the purely functional claiming afforded as an optional claim format under 35 USC 112; and to note the presence of a Vast Middle Ground), Malcolm has been invited to a dialogue on that matter in the past by David Stein (who has also discussed that very topic with ‘Random Examiner’). David took both of these anti-patentists to the cleaners. Also of note, it was in an attempt at dialogue with David Stein that Malcolm made his famous admission against interests concerning his knowledge of both what the exceptions were to the judicial doctrine of printed matter as well as the nature of those exceptions being controlling law. It is worth bringing this point up because I also invited Malcolm to a dialogue on that topic after providing an exceptionally clear and simple “Set Theory Explication” on the matter and invited Malcolm to that dialogue (many many times with references, hyperlinks and even reposting the explication multiple times). Malcolm has consistently chosen to NOT engage in the merits of any actual dialogue. As we enter his 15th year, do you really expect him to change? Deener says a method has to have a result to be a method. ISTM that result must be construed like the words in a claim to even know which PHOSITA applies, and where the utility of the invention may be found. How do you “construe a result like words in a claim”? Coming from you, the phrase “where the utility of the invention may be found” may be nigh meaningless. You simply have not established that you know the patent law meaning of terms that you flippantly throw about. wherein said pluralities of bids and asks are dynamically displayed in alignment with the prices corresponding thereto. So who is the PHOSITA here? Is it a stock trader? A designer of GUI’s? A maker of computer displays? Specifically, the present invention is directed to a graphical user interface for displaying the market depth of a commodity traded in a market, including a dynamic display for a plurality of bids and for a plurality of asks in the market for the commodity and a static display of prices corresponding to the plurality of bids and asks. In this embodiment the pluralities of bids and asks are dynamically displayed in alignment with the prices corresponding thereto. Also described herein is a method and system for placing trade orders using such displays. What new structures are used? What new result is achieved? What novelty is the subject matter of the patent? Opinions differ. 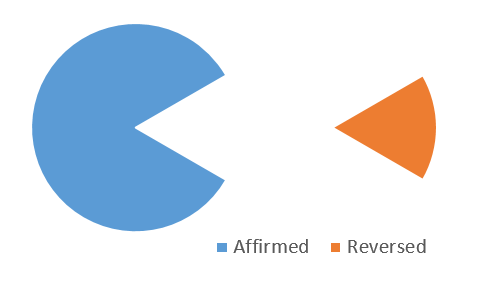 PTAB tanked it, but was it really just “well-understood, routine, and conventional steps of receiving market information and displaying it graphically to a trader, who uses the information to facilitate trading a commodity’ ? Ain’t that really what 103 is for? What if the novelty was in fact to be found the literal form of the display- independent of stock trade data- perhaps exactly useful for dispatching trucks or allocating mining equipment? What if no human ever “saw” the display, but other ‘bots used the relationships revealed to make the trades? Shouldn’t there be some precise, repeatable underlying reason why the whole endeavor should not be an invention that one may patent? I say there is. And you know what I’m saying; you just don’t want to accept it, and you have nothing better to say about it. nothing better than what you want to say is not in accord with a basic understanding of the law…? How much better could I get? I can’t make out what you are saying Martin. Indeed. And that’s true of most claims that are tanked under 101 before the PTO. Heck, it’s true of most ineligible claims that are appealed to the Federal Circuit! No surprises there. The system is plagued with ineligible junk, objectively the worst claims ever presented to any patent office in the history of the world. That’s not an exaggeration. It’s just a sad fact about the state of the patent system and Fraud Iancu is determined to make it worse because that’s what his “customers” want. automatically altering operations of the computing system based on the aggregated usage information, the operations including … a backup policy of the content. The part about the “back up policy” is included just for laughs. Everything else in the claim is window dressing, using prior art computing capability (you gotta love the use of the term “automatically” — a gigantic red flag with the phrase ‘PURE JUNK’ written on it, in wet brown ink). Yes, oh wise geniuses of the PTAB, collecting information and altering “operations” (or “changing policies”) is a mental step and there is definitely not “significantly more” in this claim. Like so many logical operations related to data “usage”, librarians (among a thousand other occupations) have been keeping track of books that are being checked out and (SHOCKING) in reaction to that data back-up copies of books are obtained and/or the time. obtaining” the data using prior art tech that was created exactly for those purposes does nothing to address the fundamental subject matter ineligibility problem. Watch and see what these b0 tt0m feeders try to do if the claim gets rejected. A typical (but failing) move will be to further limit the data content. Maybe limit it to “sporting event” data! S00per techn0 stuff! Is there any attorney on earth willing to defend this cr@p claim? Please step up and let’s hear the argument. Chad Gilles is (thankfully) not willing to go there. Good for him. Hopefully A.I.-assisted patent examination will soon help to take some of the human bias out of examination. B$ on your horse call. Give me a patent claim that you think fully comports with the law and I will (easily) fit that into an “organizing human activity” bucket. Don’t forget the patent number. As previously noted, the revised guidelines F A I L for trying to do too much and trying to incorporate ALL of the (explicitly noted) contradictory Common Law rewriting of statutory law by way of court decisions. If the claimed invention CANNOT be so lumped, it does not have the required utility. The “I know it when I see it” remains. The Void for Vagueness remains. Yea, just like all utility is directly consumed by persons. A hot stock tip provides the same form of utility as a stronger concrete. Maybe try to understand the basics of patent law instead of doing your Malcolm impersonation.